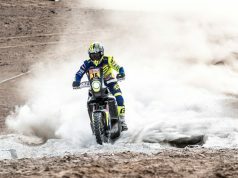 41st edition of Dakar is now completed. 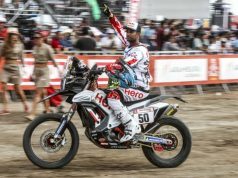 CS Santosh, Hero Motosports Rally Team, crashed and exited the race earlier. 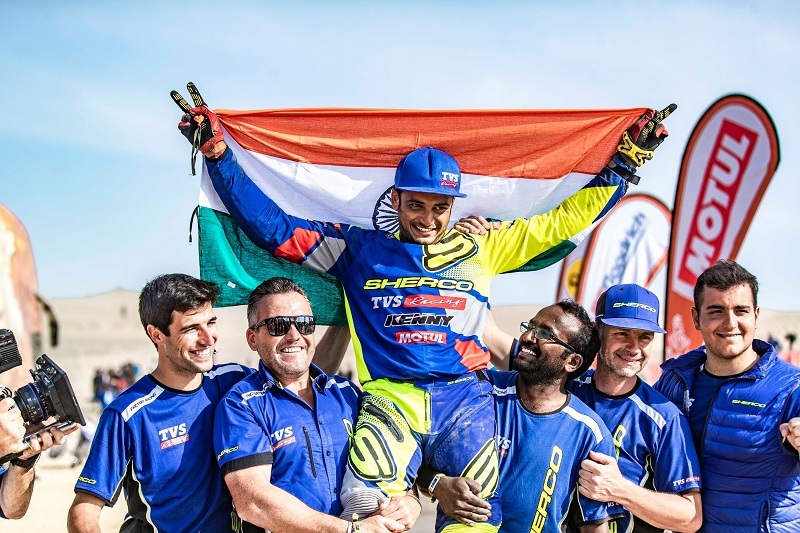 Aravind KP, with his sponsor, Sherco TVS Rally Factory Team, is the only Indian to finish the Dakar Rally. 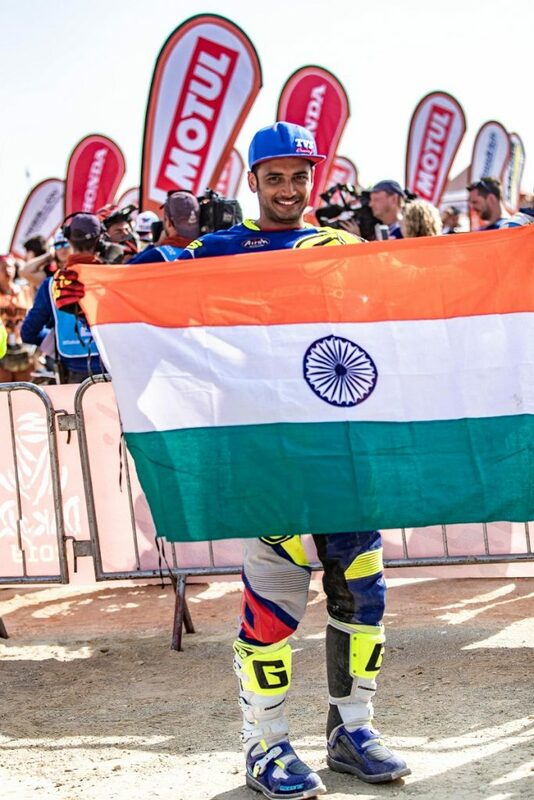 This was Aravind‘s third Dakar since his inception in 2017 and his first finish. 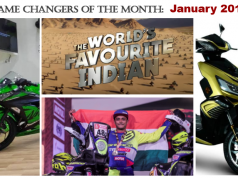 Aravind clinched 37th position overall after battling through sand dunes, fesh-fesh, beach, and rocks. 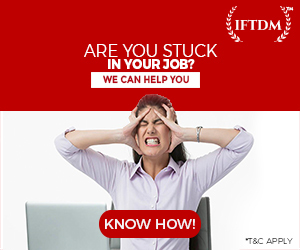 Not to mention complex navigation at every stage. 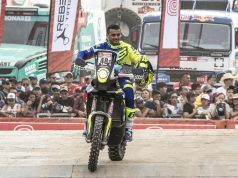 Aravind started this edition of Dakar at a steady pace but in the second half, he started climbing up the ranking. It was not an easy task to climb to 37th position from 70+ in the earlier stages. 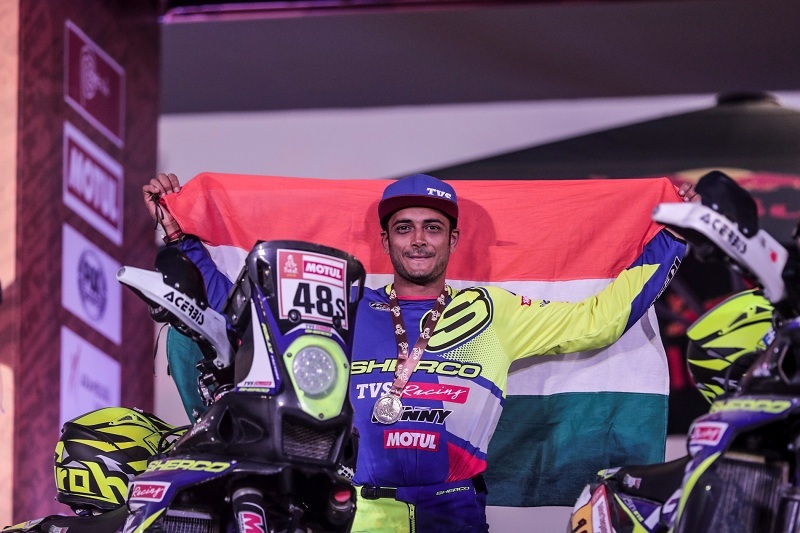 The young Indian suffered few crashes in the intermediate stages but fought hard and crossed the finish line. 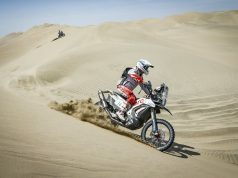 He even faced a terribe situation in the 9th stage when his motorcyle broke down in the sand dunes. 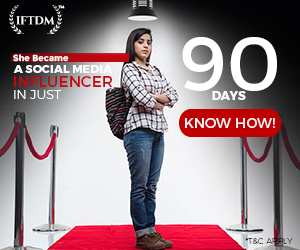 Aravind managed this situation with the help of some spectators and finished the stage. 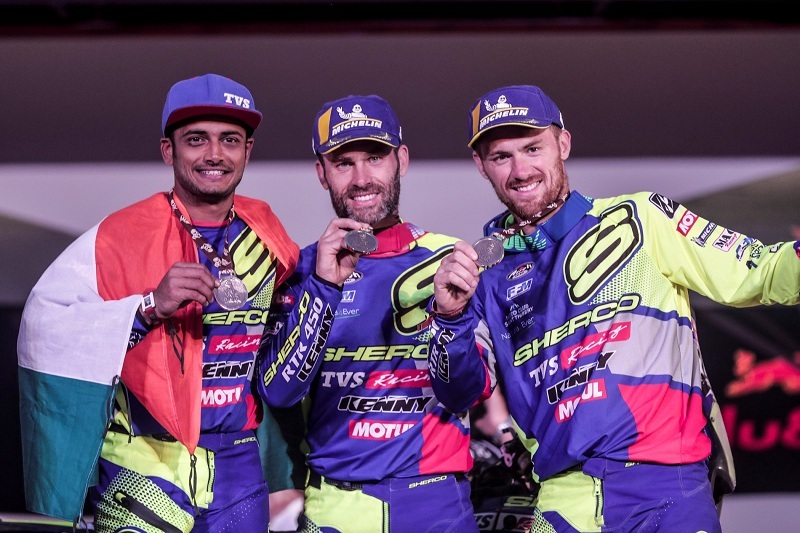 Other riders of Sherco TVS Rally Factory Team were Michael Metge, Adrien Metge, and Lorenzo Santalino. 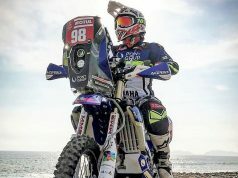 The rookie rider, Lorenzo Santalino was the fastest rider in the team, once making into the top ten, but he had to exit the race after meeting with a heavy crash in stage 6. Michael Metge had a good start, he even broke into top 15 in the 3rd stage. 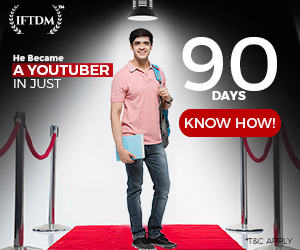 He left no stone unturned and won the 9th stage. 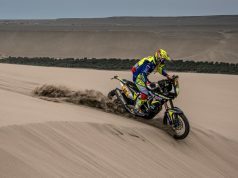 Michael‘ brother Adrien Metge strived hard and picked up the pace in the first couple of stages before he met with a crash that left him with a sore wrist. 7th stage was a bit difficult for him but he continued his journey and finished the rally with grit. Overall, Michael Metge and Adrien Metge secured 25th and 22nd position respectively. 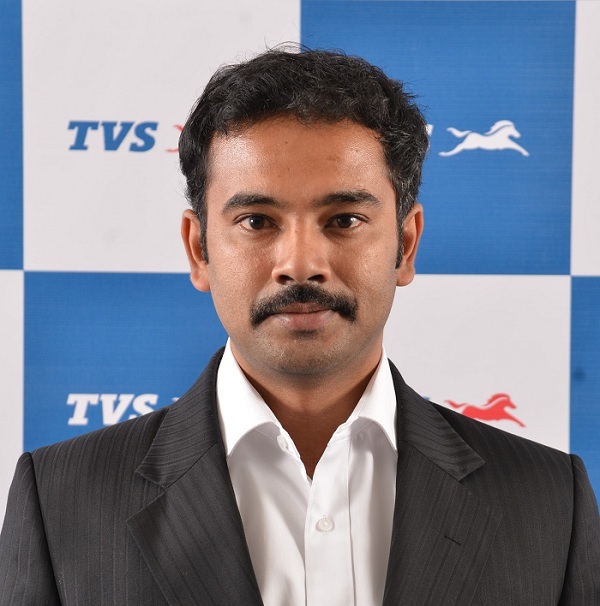 One has to say that TVS and Sherco had determined riders who performed very well leading to an impressive finish. Previous articleAprilia showcased almonds and is gearing up to sell peanuts?